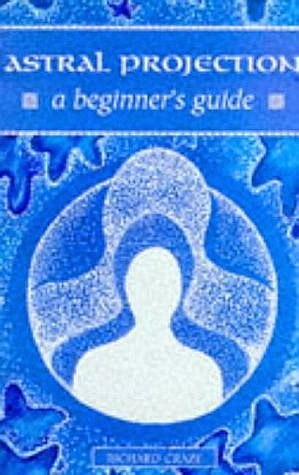 Today I'm reviewing Astral Projection: A Beginner's Guide by Richard Craze. Don't be fooled by this book's size. It's only 92 pages long, but it's got small margins and a very small font, so it makes very good use of that space. There's a lot of information packed into this small package. The information is good, too. It's a nice mixture of (a) practical OBE information, (b) OBE narratives (although not his own), and (c) techniques. The practical information is a good solid introduction to the subject, which is just what the subtitle promised: A beginner's guide. "...didn't stop to think about who she was or what she was doing there. It never occurred to me that I'd been in bed with him and that there couldn't be anyone else there with him. I flew round the bed in a dreadful rage and I mean 'flew'. It still didn't dawn on me that something bizarre was going on." Craze gives a full 22 different OBE techniques, which is quite a lot for the genre. Kudos for that. Some of them are borrowed from other books and sources, but some seem unique, and he does a good job of describing them concisely. Some of them have different variants. In other words, they're really more than 22 techniques. For example, he gives five different OBE meditations, all under one "technique." Although reports of hellish environments are very rare in the genre, they do exist. The book was written in 1996, so it's a bit outdated by more recent information. Still, the basics haven't changed much. Another thing I liked is that there's no ego, no snotty "I'm the master" attitude you find in some books. It's just good solid information. The book is laid out in bite-sized sections with headings so you can pick it up and put it down at your convenience. It flows nicely. It's well organized. There aren't any spelling of grammatical errors, although the author is British, so you will find an occasional British colloquialism. I'm giving this book a thumbs up. It's listed as $0.01 on amazon.com, plus $3.99 shipping. It's a very good deal for four dollars.